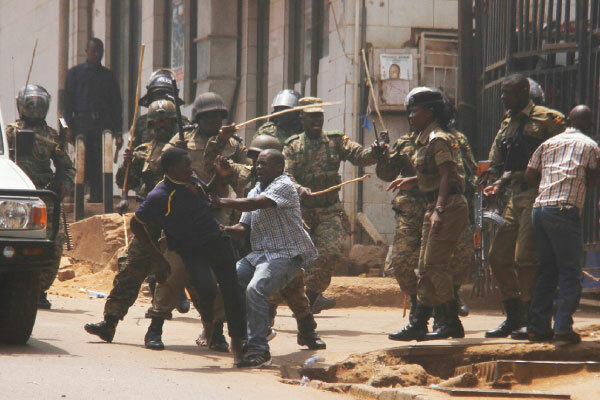 PARLIAMENT– Deputy Speaker of Parliament Jacob Oulanyah has directed the House Committee on Agriculture, Fisheries and Animal Industry to investigate the UPDF Fisheries Protection Force for allegedly brutalizing fishermen on Lake Victoria. The Speaker’s Tuesday directive came after the UPDF, in a statement read to MPs by State Minister for Veteran Affairs Bright Rwamirama denied the allegations of torture. However, Mr Oulanyah was not satisfied with the minister’s remarks. “We want to find solutions; I am referring this matter to the committee to come up with a concrete report,” said Mr Oulanyah. He emphasized the matter should be handled with expediency since it involves the lives of the people. Last week, Speaker Rebecca Kadaga accused the UPDF of being notorious and taking the law in their hands after accused the army’s fisheries unit of brutalizing fishermen. She gave the UPDF leadership up to Tuesday to explain the allegations. And the statement read by Maj Rwamirama did not convince the MPs, especially those representing constituencies in island districts. Bukooli Island Ouma George Abott cited the example of a UPDF soldier, Capt Joseph Sebukera, who he wants transferred. “I pray that Capt Sebukera who is commanding the UPDF on the waters be withdrawn because I don’t wish for what may happen; the people are suffering and it is unfair when the minister says otherwise. I don’t wish to see a situation where we come here to eulogise,” Mr Abott said. Jinja East MP Paul Mwiru tabled evidence to back up his claim that UPDF is torturing fishermen on the landing sites of Jinja. Among them are pictorials showing scars on the torture victims, letters written to UPDF and Police letters. The legislator said the officers (UPDF) have declined to take any guidance from none other than the President himself and they publicly confess it to civilian authorities. The MPs accused the soldiers of extortion and torture among other vices. Ms Kadaga last Tuesday demanded the arrest of Lt Col James Nuwagaba, the commander of the UPDF Fisheries Protection Unit (FPU), whom she accused of torturing fishermen in the operations against illegal fishing on Lake Victoria. Ms Kadaga also revealed that she had interacted with several fishermen who had blamed the soldiers. The Speaker said whereas other countries such as Kenya also have security personnel on the lake, complaints are usually against Ugandan security personnel. Mr Abbot also accused the UPDF enforcement officers on Lake Victoria of extortion. “They have become extortionist; they are beating our people and extorting money from them,” Mr Abbot said. He claimed that last month, the army confiscated fish worth Shs9 million from a fisherman.